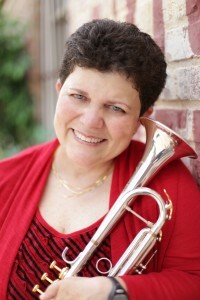 As a performer, Dr. Linch-Parker currently performs contemporary and traditional chamber literature in the trumpet/percussion duo, Double Take, which has released a self-titled CD in 2001 through PL Productions (DT001) and a second CD in 2008 entitled “Atmospheres” featuring commissioned works. Double Take has presented numerous concerts/clinics throughout the Mid-West, East Coast, and Southeast and has received favorable reviews from the Percussive Arts Society and The International Trumpet Guild. Dr. Linch-Parker also performs with the Fayetteville Symphony Orchestra, Snyder Baptist Orchestra (endowed chair), Fayetteville Jazz Orchestra, and Highland Brass Quintet.